How would you like to taste cake, brownie and cheesecake all in one bite? Over the years, these squares have been great for any kind of gathering. They’re always a crowd pleaser and have left some kind of confusion as to “what they are”. 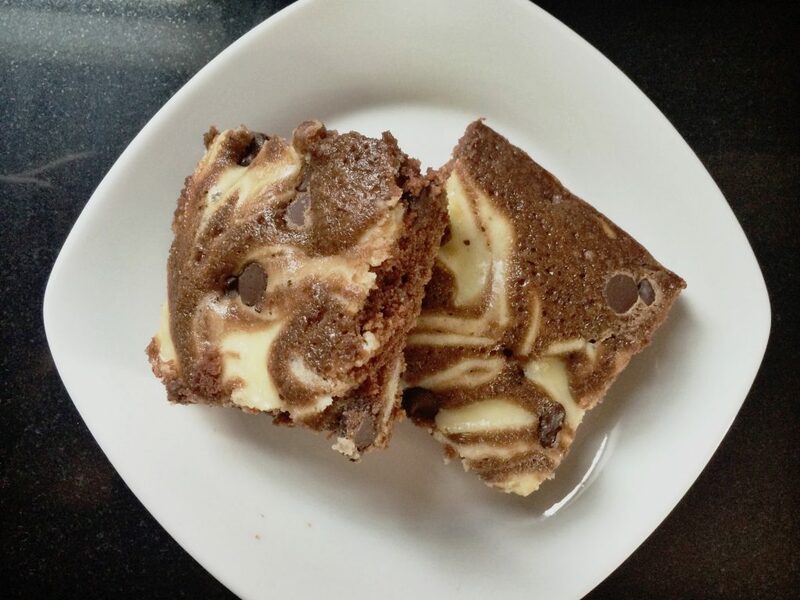 The moist chocolate texture, luscious cheesecake swirl sprinkled with chocolate chips, then cut into bite size squares gives this 3 in 1 dessert it’s rave reviews.